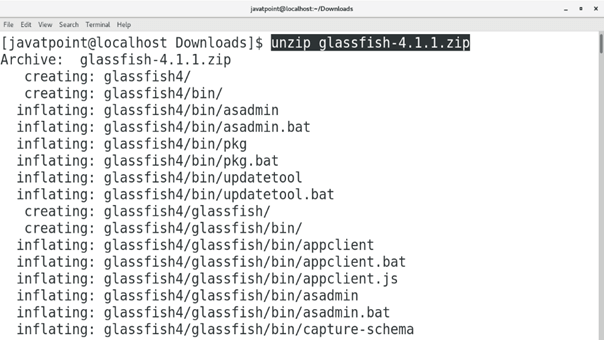 Download Glassfish4 by clicking the link http://download.oracle.com/glassfish/4.1.1/release/glassfish-4.1.1.zip This will download a zip file containing glassfish version 4.1.1. We need to extract this file by using following command. An executable script file named as asadmin is located inside Downloads/glassfish4/bin/. To start the glassfish server, we need to execute that file. For this purpose, we can either change our directory or can give the absolute path of the file as command. We need to just type localhost:4848 in the browser's search bar to access glassfish on browser. 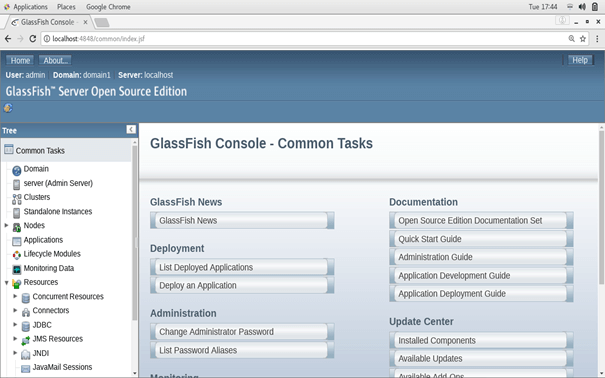 Hence, we have accessed glassfish on browser. Now we can deploy and manage our web applications. 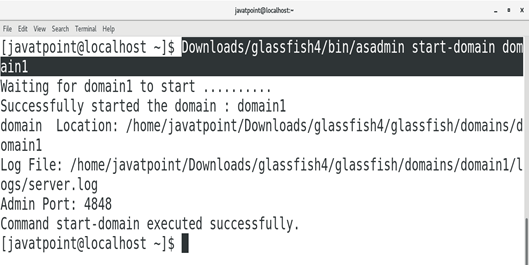 Hence, we have installed and get started with Glassfish version 4.